Here are a few more of my favorite quilts from Saturday’s quilt show by the Northern Star Quilt Guild. I thought Diana’s “selfie” was awesome! I met Diana several years ago when she came to my quilt store. She had brought with her a quilt that was a portrait of a cat. It was fabulous and her work always is impeccable. What I loved about this quilt is the quilting. Her quilter, Wilma from Christian Lane Quilters, added a special touch quilting in Diana’s name into the quilt. Selfie Stash by Diana Sharkey. It received an Honorable Mention! I found myself draan to many of the Modern quilts displayed in the show. 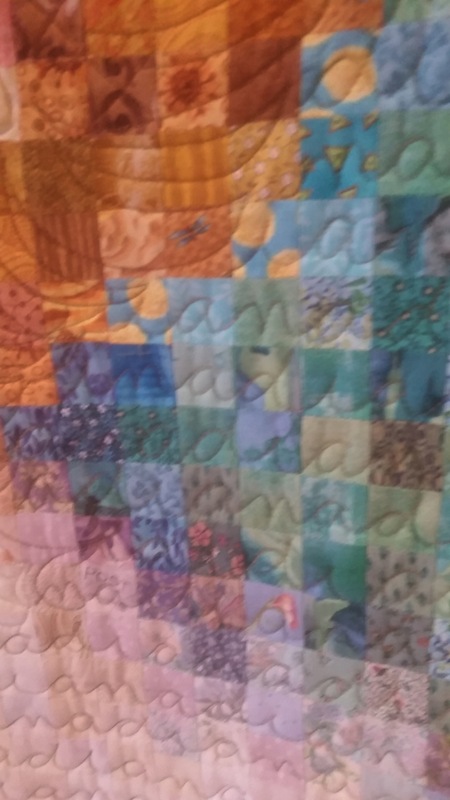 The quilt, “Going my way”, struck me. I think it was the a combination of the colors and the quilting designs. 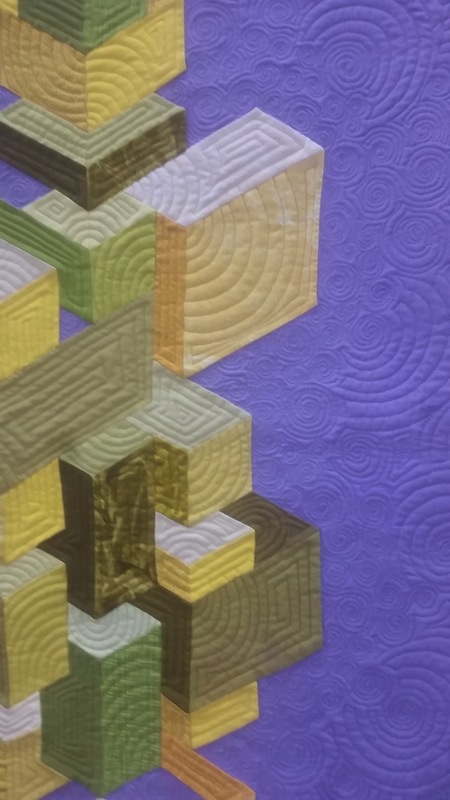 I think the curves of the quilting designs are a beautiful juxtaposition to the pieced cubes in the quilt. Don’t you agree? This inspires me to start working on a Modern Quilt design I have rolling around in my head. What inspires you? 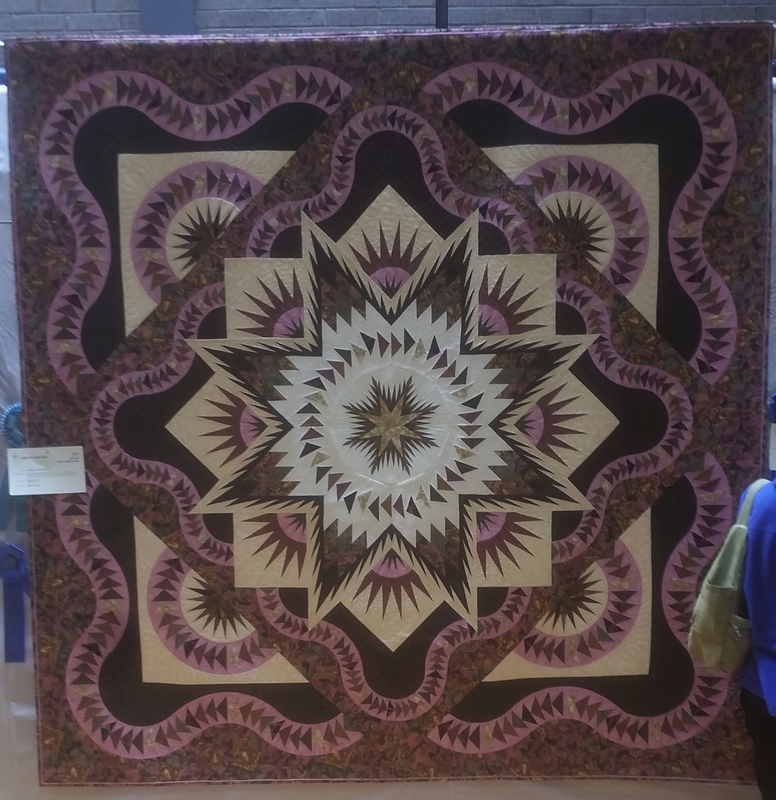 On Saturday, I attended the Northern Star Quilt show in Somers, New York. Usually, I attend with a few fellow quilters, but this time I decided to go it alone and take my time viewing the quilts in the show. I found it refreshing to wander the floor by myself and study each quilt and was inspired by so many beautiful works of art. I will share with you some of my favorites over the next few days. Hopefully you will find some inspiration too! I was thrilled to see my quilting BFF, Debby Siccardi, won 1st place in large bed quilts and best machine quilting! It was well deserved and I know how much time and energy she put into sewing and quilting this quilt! 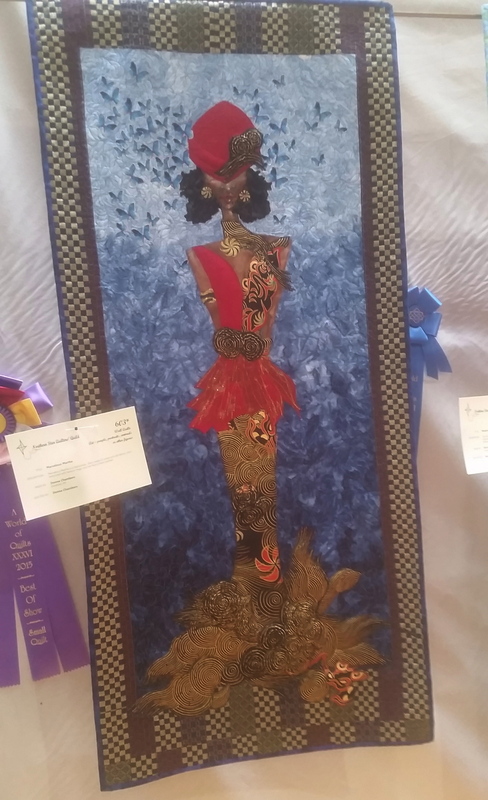 Best of show, “Marvelous Martha” was a fabulous piece. Donna Chambers really out did herself using mixed media – cotton and silk fabrics and texture magic and an exquisite hand painted face. 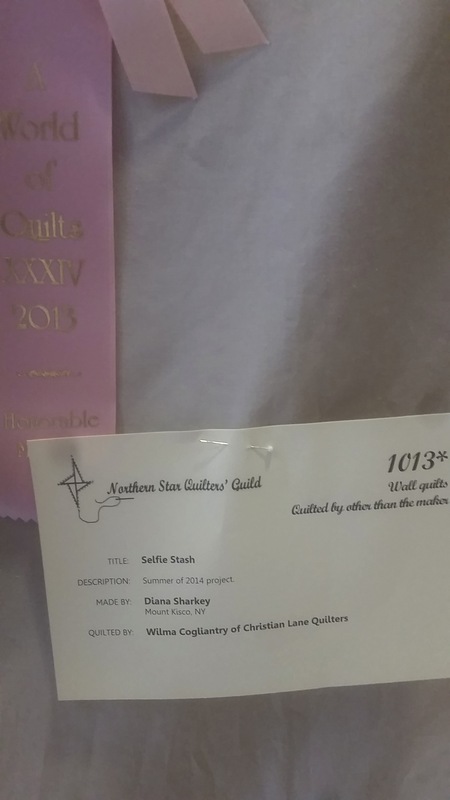 Donna also received a 1st place ribbon in the Wall quilts category and a N.Q.A. CJ Award of Merit for Outstanding Achievement in Quiltmaking. 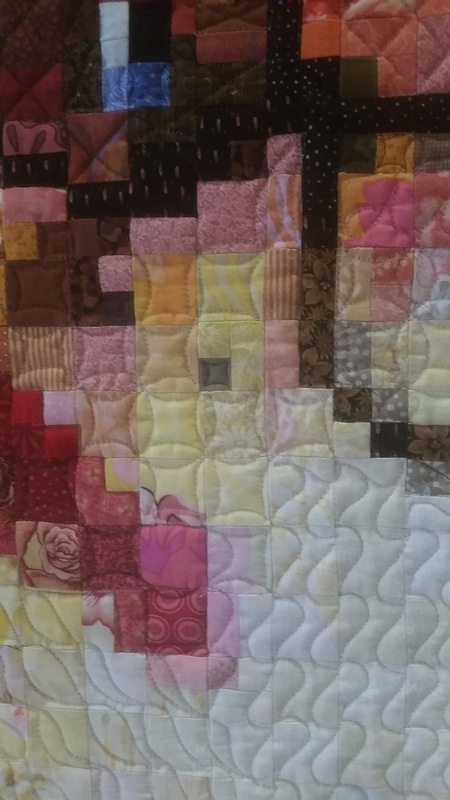 The quilting on the piece was just beautiful and I really loved Donna’s use of the striping in the border fabric. My photo does not do it justice.